Pokémon Go or No Go? Is There Educational Value in this Latest Craze? Pokémon GO has officially swept the world into a frenzy, earning over 21 million daily active users last week, topping app charts and adding billions to the market value of Nintendo. 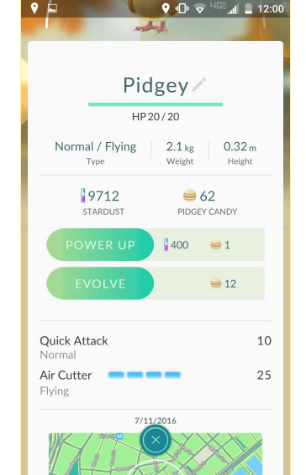 Here’s a menu players see when they capture new Pokémon. Note the type, stardust, candy, HP, etc. 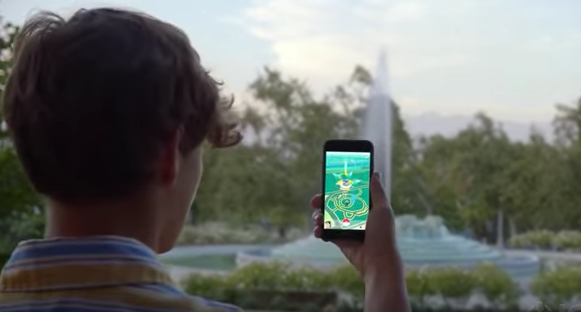 Pokémon GO uses real-world landmarks called PokéStops to give players valuable items. These PokéStops are often located at interesting places, such as public art installations, historical markers and monuments. Social media shows people posting about visiting local museums and libraries, often for the first time. Passing by or entering these landmarks may inspire interest in the history or culture of an area, especially for younger minds. Pokémon has been out almost two full weeks. In this time, players have uncovered new strategies and shared extensive knowledge. For younger players, sharing knowledge with friends can grow leadership skills. More experienced players will communicate tips, tricks and lead new Pokémon trainers to a healthy start within the game. Good leaders have to be able to make good decisions. Presenting students the opportunity to make decisions for themselves is therefore very important for building leadership skills. Pokémon GO is ripe with decisions: Which starter Pokémon will you choose? Which gym team will you join? Which type do you evolve first? When do you use lures, incense or other items? Many of these choices have lasting effects on the game and instill an understanding of consequence and the importance of planning. Decision making is an important aspect of Pokemon Go. For instance, players must decide which team to join, what gym to join and which type to evolve first. 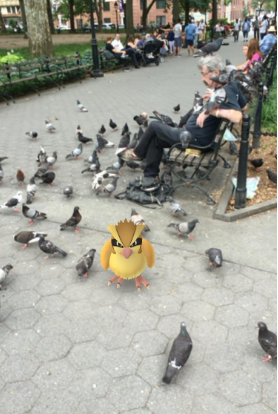 Thanks to augmented reality, Pokemon characters appear as part of our world! Young minds can learn much from the spirit of competition. As Pokémon GO players compete over local gyms, they will take risks, set goals, build confidence and learn how to cope should things not go their way. Here are even more reasons competition is great for kids. Pokémon GO is responsible for something video games rarely achieve – physical activity and getting gamers outside. Regular exercise boosts brain function, reduces stress and improves memory. In a study done at the University of British Columbia, researchers found that regular aerobic exercise boosts the hippocampus, the area of the brain involved with learning. Audiences and businesses around the world are embracing Pokémon GO. In all of the hype, success, and more recently, safety concerns about the game, parents and educators should continue to supervise their children as they play, but they can take comfort in the fact that many important skills are being taught and reinforced. So don’t be afraid to support players during their journey to catch ‘em all.